Hi friends ~ I've got some exciting news to share! My instagram account just reached 10,000 followers and I'm ready to do my first big giveaway to say thank you for being a part of my journey! My heart is bursting with joy that so many people are interested in connecting with me, and above all that, that so many people resonate with my mission of inspiring myself and others to create more love, health and happiness in their lives. The time is NOW to release your fear. Life is waiting for you to get out of your own way and open up the channels for more positivity and abundance to flow to and through you. Yoga, breathing, paddling, connecting with my girlfriends and spending time with the ocean have been the biggest sources of inspiration and healing for me. Connecting all the dots of this journey, I thought it couldn't be more perfect than to pay it forward, and give this gift to someone else who really needs it. For all of these reasons (and more!) I'm thrilled to announce that for my 10K Giveaway, I'll be gifting an inflatable ISLE Stand-Up Paddle Board to one lucky ZEN GIRL follower! It's the perfect must-have for the traveling gypsy free-spirit mermaid yoga girl! 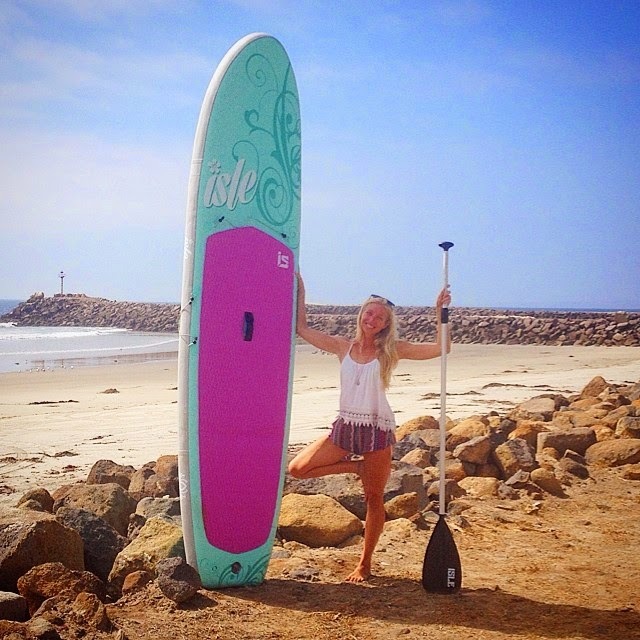 This time last year, I worked with San Diego local board company, ISLE Surf and SUP to design the very first inflatable paddleboard specifically made for yoga girls. It came out better than I ever could have expected! It's seriously so adorable and makes me so happy every time I get to paddle out. I've had some pretty epic adventures on this board. One time, my friend Jenny and I were filmed by a drone while practicing SUP Yoga on this beautiful board -- watch the video here! what epic adventures would you plan this summer on your new ISLE inflatable paddleboard? * note: to increase your chances, leave a comment here on this blog post. please include your insta account name. submit as many times as you like! make sure you use the #zengirl10kgiveaway hashtag -- that's where I'll be choosing from. the more times you post, the more likely we will notice and choose you. also -- we love creativity! get creative, plan an epic adventure and get your friends involved. they can share your post on your behalf. THANK YOU for believing in my dreams and being a part of my journey. I know that whoever wins this beautiful board will continue to spread love and light wherever their wanderlusting heart takes them! I love all you amazing Canadian yoga mermaids! If you are anywhere near Calgary, Alberta, you should definitely connect with my girl Amanda Ballas (see her comment above) -- she is a SUP goddess! Congratulations on 10k! No surprise to me as you are wonderful! What an amazing giveaway! My mini and I adore you and your mermaids! We are new to sup and only have an old board with a big hole in the plastic! 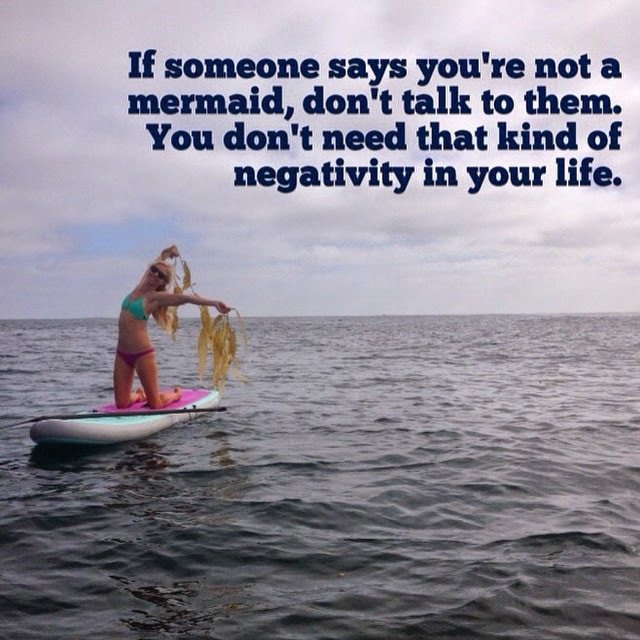 How lovely would it be to have an inflatable to take to the lakes and ocean with us on our epic mermaid adventures! Thank you for this opportunity to win one! But mostly thank your allowing us to be mermaids with you! Congratulations Mandy on Reaching 10k !!! How exciting for you may you continue inspiring many more and shinning your light !! You inspire me to get out into sea more and you are fun and a beautiful soul. Just like your giveaway . Having a beautiful board would be so much fun to have and it would be easier to go on more adventures. Like Trying all of San Diego Beaches, lakes, and future travels it would be a fun experience to own a inflatable paddleboard. Hello Mandy! I am Nicole Sanchez from Ecuador. I am a medical student so my weekends are my energy/fuel recharge on the sea or any natural spot from my country. Then I come back to my Studies, my passion energized full of prana to learn, practice medicine And yoga And One day healing with knowledge Practice yoga since I was sixteen, I it have taught me the patience I need in order to continue my career, to breath, to hold on and embrace hard moments because there is a lesson I need to learn-pass through-grow and evolve day by day. By applying the ahimsa principle it's easier when you have an open heart and a willing body to allow Divinity to live in yourself, and Anahatha yoga make us do that heat opening in practice. Thank you so much for the good energy and love you send throughout the world with your Instagram, blog and videos. It increase awareness more than u can imagine! #mermaid @nicole.sanchez thank you And congrstulations your Success its For The entire World indeed . Hooray for your 10k! It's incredible how instagram can be used as a platform to inspire and connect! Love it. I would go on adventures with my family! We have finally moved near water (baby steps to being able to enjoy the water 24/7). Renting a paddleboard is expensive when you want to be consistent & with rules about age limits, owning one is better off. Saving for one is slow, though, when you have a family of 5 on one income. I will own one one day, no doubt, but if I won a board, my whole family would be able to have awesome summer adventures consistently & now & maybe they will grow up to love the water as much as I do 😁 Congrats on 10k!!! 🙏 Namaste! This girl, @flylikeaneagleray, is ready for summer adventure! My mermaid soul get dry at times as I am balancing being a mom, wife and family nurse practitioner student. If given the chance to care for this great, mermaid ready board, I promise to keep her busy with adventures like cruising the Chesapeake, fly fishing from her, taking my boys for rides, catching some waves in Assateague and even my first SUP yoga class. I have really been enjoying the Mermaid Yoga challenge knowing that each day I will have the time to ground myself so that I can be my best! Maybe one day, this board and I, will both fly with the eagle rays again!!!!! Hola Gaby! Que gusto conocerte! Fatima es una mujer hermosa, profunda y llena de amor. Yo se` que van a pasar mucho tiempo disfrutando la vida como sirenas en el caribe. Que bonita!!! Congrats my mermaid sis on ur 10k!!!!! SUP and surfs spots are available all year round as summer is always jus a drive n short plan away!! we love traveling to discover new spots for surf, SUP and Yoga! whether its in Singapore, Malaysia, Thailand, Bali Indonesia and Taiwan! How nice if I could travel with the isup!!! CONGRATS on the 10K!!! Its very exciting how you have helped create such a fun and supportive community of mermaids! This past summer became quite the reunion of human and natural spirits. My Dad and I were the first to run into the ocean - and suddenly it was as if he was in his early thirties and I was in elementary school. The late afternoon sun was shining, our eyes were sparkling and cheeks smiling, and the air was filled with laughter. My Dad was the one who taught me how to swim in the ocean, because it's has moods and nuances where a pool lacks. He taught me to feel the waves and when to decide to swim over or under. He showed me how to boogie board, use a snorkel and how fins can really change your game in terms of swimming in those waters. My Dad shared his love of the ocean and beach with me with his whole heart - and as a result another beach lover was born! During this most recent trip, I signed up for my very first SUP yoga class. I was beyond excited! Yoga on the water...YES! My sup yoga class was cancelled and rescheduled multiple times during that week of vacation, and I was beginning to get worried that it might not happen. But the day came. A cloudy day on the North Carolina sound at 9am - and I fell in love. After almost 2 years of practicing yoga - THIS yoga experience felt right in all the best ways. After that first (and my only) SUP yoga class, I knew that this was something I wanted to do more and share with everyone who was willing to try. 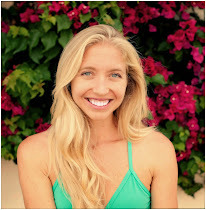 At this time I am currently enrolled in getting my 200 hours to become a certified yoga teacher - which is the first step in getting certified to become a SUP yoga teacher. It would be amazing to have a sup board to practice with here in Pennsylvania - plus, there are no sup yoga classes here in Reading - something I'd like to make happen once it get all of my certifications in order. Let’s spread that SUP LOVE! Wow, 10k is huge! Congrats!!! And thank you SO much for giving us all a chance at this awesome giveaway!!! I just got to try paddleboards and SUP yoga last summer and I'm dying to get to try again! Having a board this cool to play on this year would be sweet!!! Congrats on reaching 10k!! Seeing you achieve your dreams is such an inspiration to me! Hope your getting lots of amazing entries for this contest :) check mine out on insta @taylorvanm love&light! Lexi -- you are so cute! Your smile is contagious and I adore your outdoor, adventurous spirit! Aloha again zen girl Mandy! It just occurred to me, you should come to Ecuador!!!!! Please come, you will be more than welcome 🙏🙌💞✈️✈️ And if I have the honor, my beach apartment is just in front of the sea; it's an ideal spot for morning/afternoon/sun set yoga session 🌅 . Just a crazy idea but it would be soooooo amazing if you bring your vibes. Give it a thought 😁 we have highlands, stunning coast, Amazon forests and the Galápagos Islands all in one same country 💞🙋. Congratulations on 10k! That's insane! I'm a new follower from the #mermaidyogis challenge, but I'm loving your posts and wish I had found you sooner. I have the perfect place to do sup yoga, but no board, so I would definitely put the ISLE inflatable paddleboard to good use! I'm Emily aka @giraffemilyoga on Instagram. Whoop whoop to the 10k followers! That's a crazy accomplishment, way to go girl! Uhhhhhhhh to win a stand up inflatable paddle board....... Dream of dreams really. I was looking at this exact one about 6 months ago for my first board but as I was preparing to move, I realized I could not afford to pay rent and buy one at the same time... So I have been patiently waiting and saving for one until I saw your post! Crazy timing and I know the contest is a long shot, but why not right?! What would I do with a stand up paddle board this summer? So many things I pray... I'm in a band. It's my full time job and I travel everywhere for it. Always on the go, in the car, on a plane traveling to some part of the USA sharing the message of love and hope through the Gospel and using music to facilitate it. I love hiking, yoga, enjoying an occasional seaside visit when my job allows for it, but what I have been dreaming about doing for the past year is getting an inflatable sup board to pack along with me for my journeys. I thought it would be an excellent way to get some exercise in but try something new I've never done before and to practice yoga on a whole other level. Also, I just love water.... And water is everywhere in the US. Lakes, rivers, oceans, people's backyard pools. I would explore the incredible water beauty spots we have in this country everywhere I go this summer. That would include California, Washington, Michigan, Tennesse, Hawaii... These are all places we have lined up in our tour schedule and I couldn't be happier than to take a brand new packable board with me to enjoy whatever water I encounter. I want sup boarding to become a passion of mine, and hopefully I'll be able to do this whether or not I win the board! Thank s for taking the time to read this. May God bless you and turn his face to shine upon you! Have a great rest of the day Zengirl! Congrats on your 10k!! 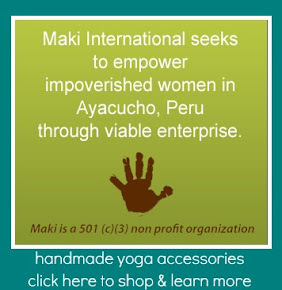 Such a gift to bring your amazing yoga journey to so many through the world of social media. I'm just starting out on my teach yoga journey. My two girlfriends and I just started @ventura.pop.up.yoga as a community program to bring yoga to everyone. Ventura Pop Up is created for the community to enable and empower all to find yoga in their daily life; both on and off the mat. We offer our classes on a donation basis to encourage our students to make an offering that works for them. We hope to inspire our community in new ways this year and get people outdoors. A male doctoral student of women’s studies proclaimed he studied women because they are so fascinating, and he does not understand them. He then asked me if I will ever understand women? I told him if he wanted to understand women, he must study the harmonious flow of water. I grew up on the river, and the ocean has always been my home. My journey has led me to seas near and far. Embracing my spiritual essence has brought me deeper to myself and Divine Womb of Mother Earth. I am learning to surrender to the language of the ocean, and this mama has more to teach than my mind will ever comprehend. I am ecstatic and eager to learn more ----all good things come in time. Water is one of our greatest teachers, it always flows in the path of least resistance. There is a calmness, and yet fierceness to waves. When I spend the day in the ocean I feel the coming and the going of the waves as I drift to sleep at night being rocked like a child of the Mama Gaia. Like the moon pulls the waves of the ocean, when I am in sync with my Truth the moon pulls me too. I can watch the waves for hours, meditating on being, harnessing the actual manifestations of the coming and going of the waves. Allowing the remembrance that nothing in this world will last forever. Since I have started my doctoral program, I have a challenging time sitting still for long to meditate. I constantly feel like I must be doing something. This paddleboard will be a game changer. I love to paddle board, and I will soar the cove and every where in between. I will practice my yoga on it, and continue to study the seas while floating. I will work to be a beacon of light to all of the sea creatures honoring their habitat as I paddle across the horizon. All of the healers that come to stay with me will be encouraged to take the board out as well. Thank you for this healing miracle to allow me to nurture myself. I am here to serve the greatest good of all.